There’s a lot of rebuilding and remodeling going on these days. Even before the storm season the numbers were on the rise. And according to the National Kitchen and Bath Association, US families are spending, on average, $16,000, per bathroom to do it. With that kind of money at stake, it’s important not to make expensive remodeling mistakes. In most cases, mistakes come from failing to think through the process, or purchasing the wrong products for the job. So before you commit to this big project, here are some good things to keep in mind. How big are your drains? A 1.5 inch drain is the industry standard, and therefore it’s what is used in most new construction projects. However, consider that bathroom drains narrow over time with hair and debris. If you upgrade to a 2-inch drain, the cost is not great, and it could save you money on maintenance down the road. Do you want recessed medicine cabinets? A recessed medicine cabinet is a big space saver – and looks trim. However, if you have pipes installed down the wall behind the vanity, it means you can’t use that space for a recessed cabinet. So if they’re on your wish list, plan in advance to have vanity pipes installed through a different area. Is your shower floor properly drained? Tiled shower floors are nice – and they have a wonderful esthetic – but they must have a properly angled slope for water to drain at the right rate. Make sure your tiling professional is skilled at installing tile at the proper angles so your drainage rate works properly. What kind of under cabinet storage will you have? Are your pipes to the bathroom running along an exterior wall? Pipes on an exterior wall are far more prone to be affected by the elements. If you don’t live in a cold area, it’s not as much of an issue. However, even if you live in a warmer climate and don’t have to worry about them freezing, it’s still a good idea to insulate exterior pipes and protect them from the battering of the elements. Are you installing that bathroom on a slab? Plumbing changes that have to run through slab flooring can be costly, often requiring jackhammering up concrete and reinstallation of an entire system. During the process of remodeling, homeowners often discover that the plumbing lines running to the outside of their home to the sewer have collapsed or become compromised with tree roots and other issues. If you doing this type of renovation, you might need to budget extra money for deal with these little surprises. 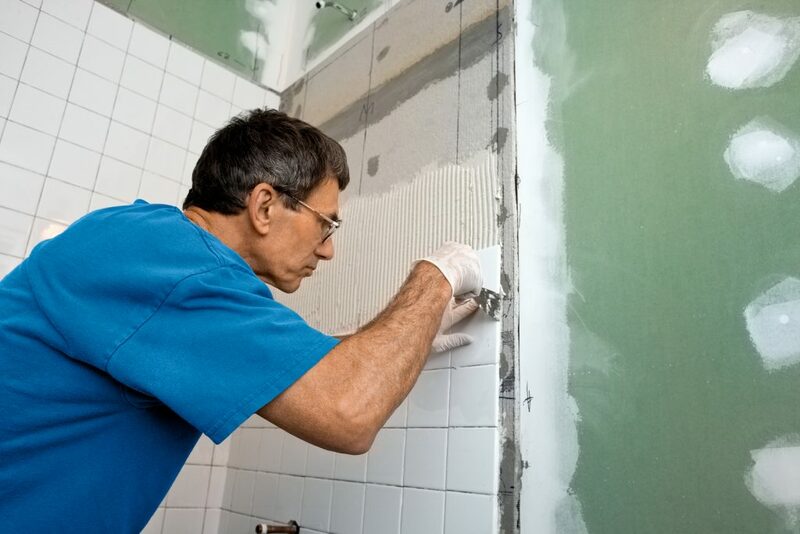 Good planning helps save good money – and consulting with a plumbing professional is always a good way to start your bathroom remodeling project.